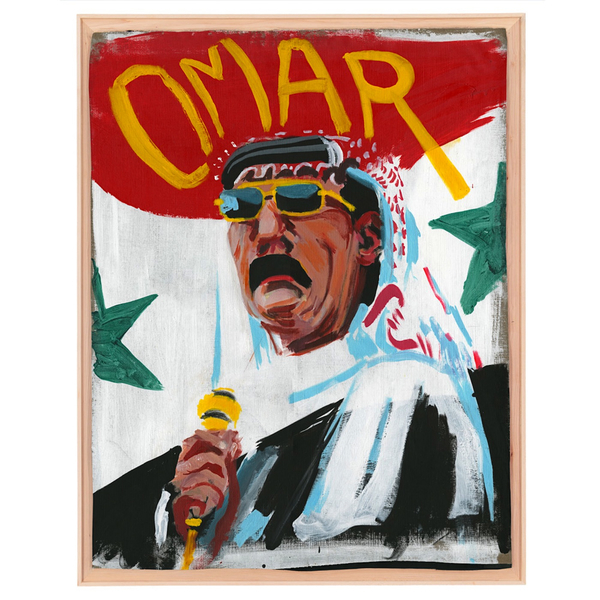 'Wenu Wenu' is Syrian superstar Omar Souleyman's first Western studio album proper, and was recorded and produced by Kieran Hebden (Four Tet) in Brooklyn, New York for Domino's Ribbon sublabel. It stars the main man belting it out with trademark massive reverbs over incendiary, streaking keyboard motifs and clipped drums by his long-time compadre and keys man, Rizan Sa'id, just as he has done for the last 20 years or so, only now the production is pleasingly brighter, punchier in parts. But perhaps most importantly, it's not too clean, or too punchy, as many feared it may become in Hebden's hands. There's just more room in the mix now, and Souleyman and Sa'id fill it perfectly, alternating between impassioned vocal declarations and zipping, floral synth runs liable to take yer eyebrows off while pneumatic beats pump away like lines of tireless, steppin' backing dancers at a big tribal wedding. The searing previous single 'Wenu Wenu' is a big highlight, but not the only one; it shares that honour with NRG-dabke heatblast of 'Ya Yumma' with its bouncing polyrhythmic fills and delirious soloing, and equally the stunning finale of booming tribalist breakbeat swagger and nagging piano hook laced with lysergically colourful runs from the fireproof fingers of Rizan Sa'id.